Saturday 20 Apr - Latest - Check the listings below for the latest stock. 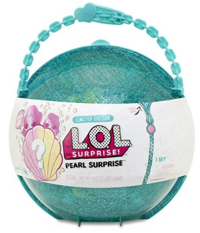 We constantly check for LOL Surprise Pearl Surprise stock, so you don't have to. Receive email alerts when LOL Surprise Pearl Surprise online stock is found.